The rewards for following the precepts discussed previously, come to those who meditate on unifying the Holy One Bless Be He and the Shechina while doing the Mitzvah, precept. Unifying upper and lower,that is the male and female aspects of the Light, rewards us with having unification on the lower level. That could be in connection with the soul mate and/or anything with the aspect of drawing light to the vessel. In simple words, the result is fulfillment of our pure desires to manifest light. Following the spiritual laws of the Torah with unification of the light brings the aspect of the Holy Temple and the light into our lives. Before any spiritual connection or doing a precept including prayer and Zohar study, we use a special meditation that directs our action as a tool to unify upper and lower. 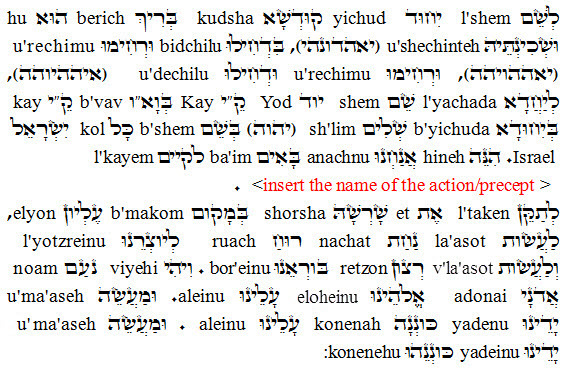 Translation of the Hebrew paragraph below. For the unification of the Holy one bless be He and the Shechina (יאהדונהי) , with Awe and Love (יאההויהה), Love and Awe (איההיוהה), in complete unification (יהוה) on behalf of all Israel. Here we come to to establish connection with this action to its supernal and spiritual root, to give gratification to our maker and do the will of our Creator. And the beneficent of our God be upon us. And the work of our hands establish our connection below and our action connect to him (YHVH). The above is a minimal version. 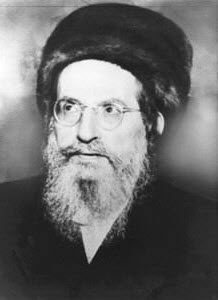 The Kabbalists would add the reference of the action to the Torah source to bring the connection to a higher level. Most important to remember is that, in addition to Proverb 3:6 “בְּכָל-דְּרָכֶיךָ דָעֵהוּ; וְהוּא, יְיַשֵּׁר אֹרְחֹתֶיךָ.” “In ALL your ways acknowledge Him, and He will direct your paths.” we need to add the proper meditation of unifying the light and the vessel.